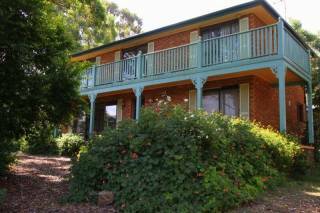 Sovereign Hill Country Lodge & Vineyard offers six double bedrooms, one of which can be configured as a twin bedroom. 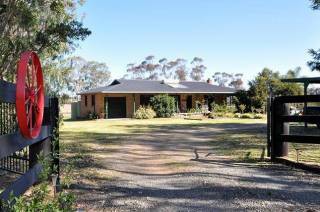 All six open onto a breathtaking view of the valley and are equiped with an ensuite bathroom. 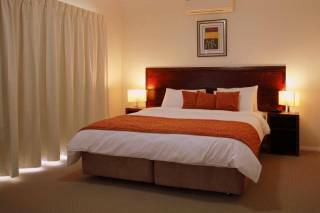 All rooms have en-suite, air conditioning, clock radio T.V and DVD player. Breakfast is provided in your room along with an egg cooker, toaster and kettle to enjoy in your own time. Shared facilities include lounge / dinning room with open fire, fully equiped kitchen, barbecue, twelve meter pool and tennis court. All rooms have spectacular views over our vineyard and down the valley all add to the relaxed country feel. For our weekend guests we provide a complementary bottle of our wine and cheese plate on arrival. We are 10-15 minutes from 5 golf courses and events in the valley. 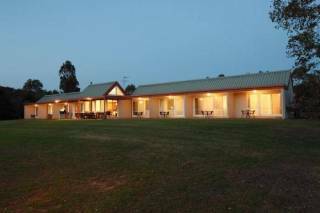 As well as all the comforts of our rooms Sovereign Hill Country Lodge offers a range of communal facilities for the days were you just want to unwind in comfort. Our open common room featured in the center of our lodge offers a range of facilities from a full kitchen to a fire to snuggle up to, as well as both indoor and outdoor dining areas. Leave the BBQ and kitchen areas clean for the next person to use. We require full payment by credit card prior to your stay. 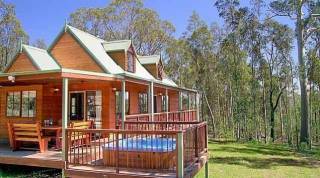 Sovereign Hill Country Lodge is located in the heart of the Hunter Valley. 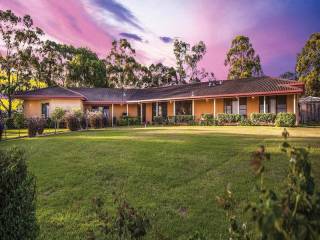 We are tucked away in Lovedale, a unique heart shaped province of the Hunter Valley quietly removed from the major roads and stone's throw from the many wineries of the Hunter Valley, providing a prime location for you to unwind in comfort. We have a local corner shop butcher baker and bottle shop at Greta and is only a few minutes drive away in case you need to dart off for last minute items. Shopping centre is in Cessnock or Rutherford for any further comforts you may need.